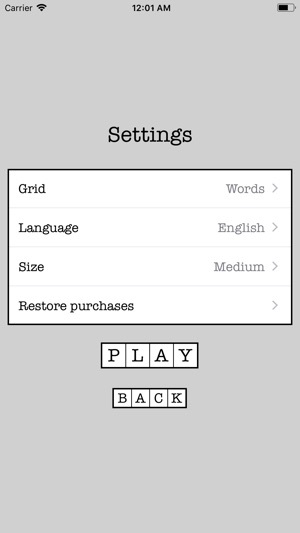 Word Fill is the official fill-in game for iOS! "What's Hot" in USA, UK, Canada, Australia, New Zealand, Italy, France, Spain, Switzerland! "I love these things. I've been looking for them in stores and to find an app like this is just GREAT!!!!!" "A great app which once started cannot be stopped, very addictive. I love it as does the whole family"
"As a fill-in fan, I had been looking for such an app and finally found this terrific game. This is relaxing and very enjoyable. It is easy to use. Congrats to the programmers. You did great. Thanks so much." "Great game. If u like challenging but do-able this is perfect. Great way to pass the time." "Absolutely wonderful, great way to pass time." 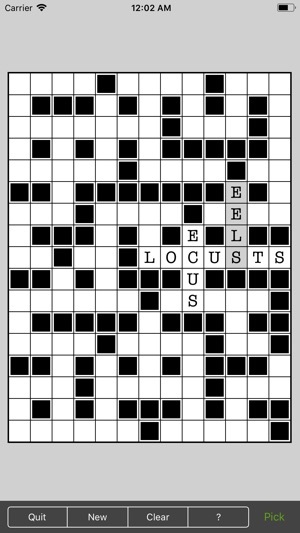 Crosswords are too challenging? What about some more relaxing stuff? Imagine you know all the words and you're only asked to fit them correctly. 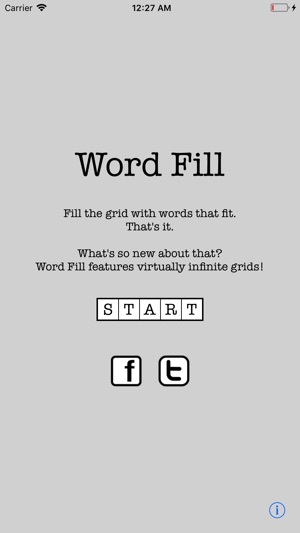 That's Word Fill, the only fill-in app that loads you with INFINITE grids! Select a grid entry, see available words, pick one. Now select another, check crossings, then pick a new fitting word. And so on, until the grid is full. 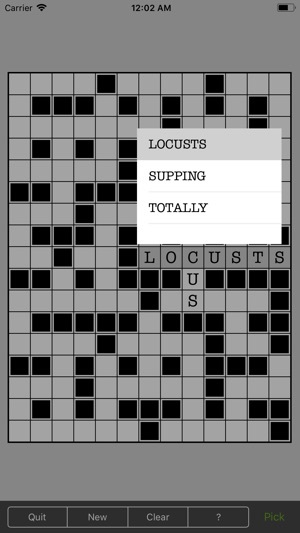 Word Fill is a funny alternative to crosswords if you don't want to struggle to fill all the blanks. No time trials either, Word Fill is just about having a good time! - Dynamic grids that never repeat. - English, Italian, Spanish and French interface. - Dictionaries for 16 languages. - No more bucks on bonus packs! - Grids range from small to big for quick to long games. - Visual space maximized on every device. 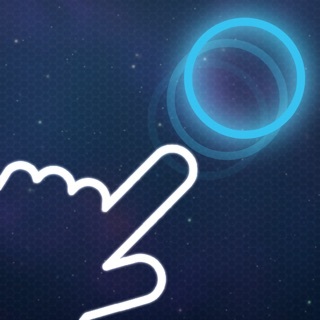 - Quick and effective touch gestures. - Play offline without any limitation! If you happen to find bad words contact me on Facebook and I'll remove them promptly. Don't post bugs to iTunes because I won't be able to contact you! I figured I'd give it a try, and I did. It's a little different than the puzzles in the books, but I love the setup better because I can blow through a puzzle real quick on break at work. Instead of typing in each individual letter. Great app! I Suggest the download for anyone! Bought this app 4+ years ago, and it's still my favorite app. I always loved word fill puzzles when I was little, now I have an infinite variety, and the dictionary/word list is updated/expanded regularly also. Definitely worth the money.